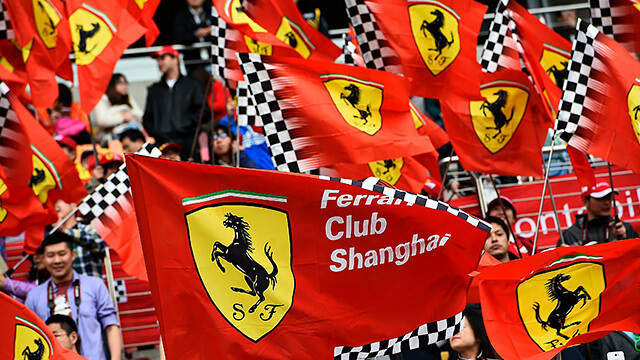 Summing up the Chinese Grand Prix this weekend is easy: we expected more from the race than it delivered, Mercedes are still mostly untouchable but there’s a glimmer of hope, maybe, possibly, and there were more fans there than I was anticipating. If I have to expand on that, then read on – here are a few things from the weekend that caught my attention. We’ve talked at length recently regarding the problem of driver weights, and the pressure on all to be as slim, fit and weightless as possible. In Bahrain, Sutil stirred things up with his comments about not using a water bottle during the hot and dry race, but in China, things had quietened down again. In fact, not only was the weight problem not brought up again, but there were cakes by the truckload throughout the F1 paddock. Now, granted, I didn’t actually see a driver lift fork to mouth, but it would be mean of the teams to parade endless cakes around in front of those trying to steer clear of the sweet stuff. Those cakes spotted in the paddock include, but are not limited to, Romain Grosjean's birthday cake, Jenson Button's random bike ride cake, Max Chilton’s birthday cake, Fernando Alonso’s podium celebration snacks, McLaren's hotel hospitality and potentially many more. So, perhaps the dieting is off the table for now, or perhaps it was just a coincidence that there were so many cake-related foodstuffs in the Shanghai paddock. I’m putting it down to two possible reasons. China has some kind of lower gravity than the rest of the world, and thus the drivers could relax for at least one weekend. The FIA have decided this is the way they can intervene, without seeming to get too involved in the lives of the racers. I’m hoping it’s not specific to China, because cake-spotting is one of the highlights of any Grand Prix weekend. There’s always a birthday to be celebrated somewhere. The way this season is so far unfolding, you would think the main battle both on and off track would be between Red Bull and Mercedes. They have locked horns over the “secret” testing and the fuel flow situation, and have challenged each other on track to varying degrees of success. As it turns out, the animosity in the paddock so far this year is building between Red Bull and McLaren, rather than the Mercedes works team. 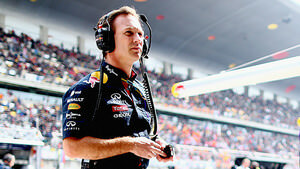 Most of it boils down to the re-hiring of Dan Fallows – an aerodynamicist who left Red Bull in search of bigger and better things at McLaren, but then changed his mind. The pair were spotted having a word in the China paddock, and although there were no fisticuffs, it equally didn’t look like there was much love lost. The matter is going to court but no dates have been announced as yet, so we can expect more of these catty comments for the next few weeks, I’m sure! In China’s rate the race poll selection, we touched upon the flag issues that were experienced during and after the race. The most obvious was, of course, that the chequered flag was waved a lap too early, and thus forced a count-back so that, essentially, drivers completed two laps for nothing. It only really affected Kamui Kobayashi, who had overtaken fellow backmarker Jules Bianchi on the final lap – all for nought. That’s a pretty serious error, calling the end of a race when there is still a lap to run. If there isn’t already a rigorous training schedule in place for potential flag wavers, then there needs to be. During the race, we also saw the marshals getting themselves in a bit of bother, waving blue flags to drivers that weren’t involved in any lapping situations. And, if all that flag failure wasn’t enough, after the action was finished and the winning three took to the podium, the wrong flags were shown above the driver’s heads. Now, Britain does have a pretty good motorsport heritage, but it’s been a while since there were three Brits locking up the podium positions. Mistakes happen, of course, but these seem like three rather serious and significant problems that could have been avoided. Particularly as the first two impact on the racing action and results themselves, Charlie Whiting may need to have a good talk with the flag wavers before the next race in Spain. Over the weekend, a crowd of very organised Kimi Räikkönen fans had their flag waving very much under control. Whiting could learn a thing or two from these guys. Ferrari’s new team principal Marco Mattiacci caused a huge stir in the paddock when he arrived wearing sunglasses, and wasn’t keen on taking them off. It’s indicative of how interesting the race weekend as a whole was, when this is headline news, but it’s also fascinating to note how quick people were to judge the incoming Italian. Was he trying to emulate Enzo Ferrari? Was he so aloof that he felt the need to put up barriers between himself and the prying crowds? No. The guy was running on little sleep, having flown across the globe, in an effort to step up to a high pressure job for one of the world’s most high profile sports teams with very little notice. We have to cut him a little slack for that. But, even with that knowledge, it’s clear he’s still not going to be quite as much fun as our Stefano Domenicali. A couple of the teams had communication problems between pit and car, with both Valtteri Bottas and Nico Rosberg informed their telemetry wasn’t working. 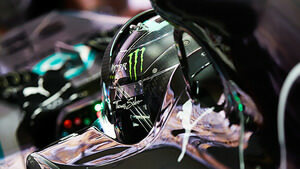 This manifested itself in different ways – Bottas was shown as using zero percent fuel throughout the race, whilst Nico Rosberg had to read numbers off the dashboard on his steering wheel to the eager engineers. It could have been a lot worse. In Ted’s post-race notebook, he reveals that the pit wall were actually using the camera placed behind Nico’s head to read as much as they could off the dashboard and the fuel consumption figure they were asking him for was the only one they couldn’t get. It would have been a lot harder for Nico to concentrate if they’d needed the full gamut of figures required to calculate strategies. Onboard footage has always been popular, giving us a closer look at what the drivers are going through, tucked up in the cockpit and battling their way through a race. Now, it turns out to be a crucial backup in case of team-to-car connectivity failure. Big Brother may always be watching, but it’s only because he wants you to pit at the right time.